Olivia was a great sleeper from day one. Then month eight rolled around and she woke up every two hours! I realized that because she slept great before that we never established a sleep routine for baby. So after a little research and a month of trial and error, we are back on track. She can now sleep anywhere as long as we follow her sleep routine and schedule. Here is how we did it. First, we keep the room at 68 degrees no matter where we go. Next, 30 minutes before her scheduled nap/bedtime we feed her a bottle. When she is done we change her diaper, pop on her Owlet Smart Sock and put her in a wearable blanket (we prefer the SleepSack by HALO) and then snuggle a bit while reading a book. Now, because we always keep the room the same temp I know to use a medium weight sleeping bag or this one. Sometimes if she is running around in a long sleeved onesie I use this heavier one. When she was under 4 months we used this option to swaddle her. If you are not sure which sleeping bag weight is right, try googling a sleeping bag TOG chart. The charts make it easy by basing it on the temperature of the room. I have at least a dozen wearable blankets but seem to always go back to the same two. Then off to her room, she goes. I make sure her room has white noise playing and is completely dark. When we travel I do the same thing. I use an Apple Home Pod so I can control it from another room. When traveling I use this one. Olivia HATES it if I close the door so I leave it open. Louis usually sleeps under her crib waiting for her to get up so they can play more. It is so cute. We have tried using a pacifier and always place one in the crib with her but she has not taken to it at all and she usually throws it out of the crib. Other than that she has nothing in the crib with her. No blankets or toys. Her mattress is bare and breathable. We don’t use sheets! The safe sleep ABCs say not to so that the baby doesn’t have any safety issues. I also found that the sheets are a distraction for Olivia she tries to pick at the pattern or pull the sheets off the bed. 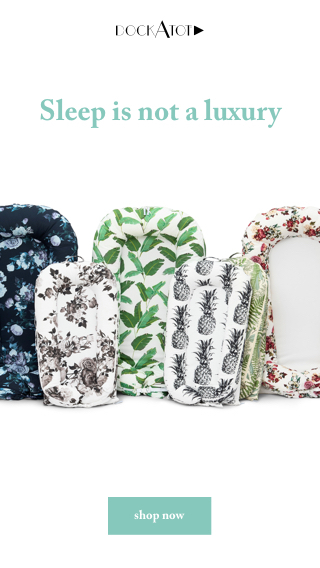 Our mattress is washable and so is our travel crib. 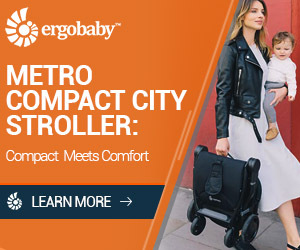 We use the Newton Baby Breathable Mattress at home and the DreamNest by Halo for travel or days at the office. When she first wakes up I let her sit in the crib or DreamNest a little with some toys so she can play quietly. After about 10-15 minutes I get her out, change her and we go about our next activity. That is it! I read the Little Ones Sleep program and the Wonder Weeks books to help me know when to expect sleep disruptions and milestones. I highly recommend both when creating a sleep routine for baby. Loving this sleep routine for baby feature? Take a look here for more of my baby favorites!